A Chelsea art dealer has walloped Christie's with a $7 million lawsuit charging the auction house knowingly sold him a fake Jean-Michel Basquiat painting. Tony Shafrazi, who was Basquiat's primary dealer, says he bought the 1982 untitled piece from Christie's in 1990 for $242,000, and resold it a year later to collector Guido Orsi. In his suit, the Iranian-born dealer, who has a gallery on West 26th Street, claims Christie's knew the painting was a fraud - having been told so earlier by the artist's Haitian father, Gerard Jean-Baptiste Basquiat - but sold it anyway. Basquiat often had no canvas and dashed off paintings on cardboard and surfaces he found laying around. Because his primitive style is easily imitated, fake Basquiats are big business, and even experts on his work can't always tell the difference between a knockoff and the real thing. 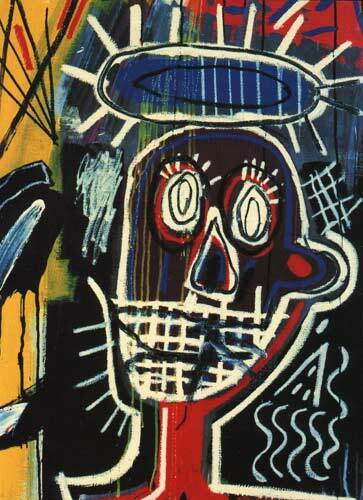 In 2002, artist Alfredo Martinez was sent to federal prison for defrauding dealers with phony Basquiats. Real ones have become incredibly valuable - last May, an untitled 1981 work sold at Sotheby's for $14.6 million. The new case erupted last year, Shafrazi's suit says, when a Basquiat authentication committee rejected the 1982 piece shortly before it was set to be displayed at a Basquiat show in Milan. While the statute of limitations for suing over an honest mistake has long passed, Shafrazi and Orsi, who is also a plaintiff, could collect if they can convince a jury Christie's was warned of the fakery in advance of the sale. They want $2 million in damages based on the skyrocketing prices of Basquiat's artworks, plus $5 million in "exemplary" damages. Christie's spokeswoman Kate Swan said, "We believe the lawsuit has no merit."